Our Doctor / Nurse stamp is an elegantly designed, convenient pocket sized stamp perfect for those in the healthcare profession. 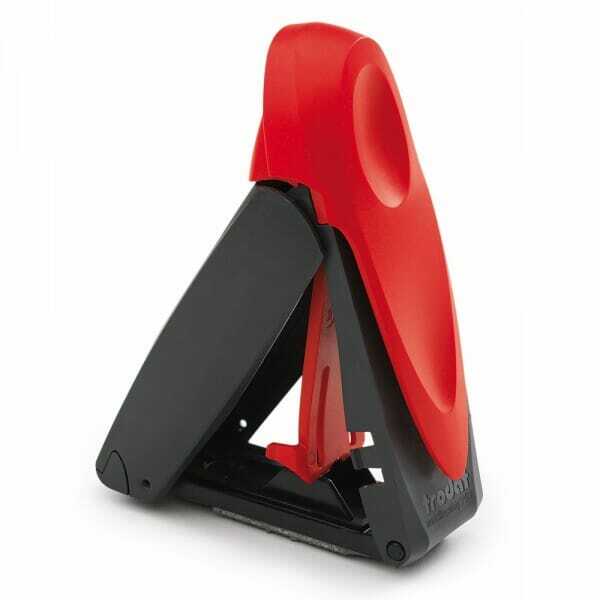 Trodat Mobile Printy 9411 self-inking rubber stamp has been ergonomically designed to be able to be used with the minimum of fuss allowing you to sign off important documents easily. Pocket sized with a useful clip ensures your stamp sticks by your side day-in day-out. The 9411 Doctor / Nurse stamp creates a rectangular impression of 38 x 13 mm with a maximum of 3 lines of text. This stamp can be customised online using our simple design wizard, adding a chosen message, email address, logo, image, signature or contact details. The compatible replacement pad 6/9411 comes in black, blue, green, red or violet. Customer evaluation for "Nurse stamp Mobile Printy 9411 38 x 14 mm - 3 lines"